Thirsty for something different, deliciously sweet and excellent for your health? How about some fresh sugarcane juice! 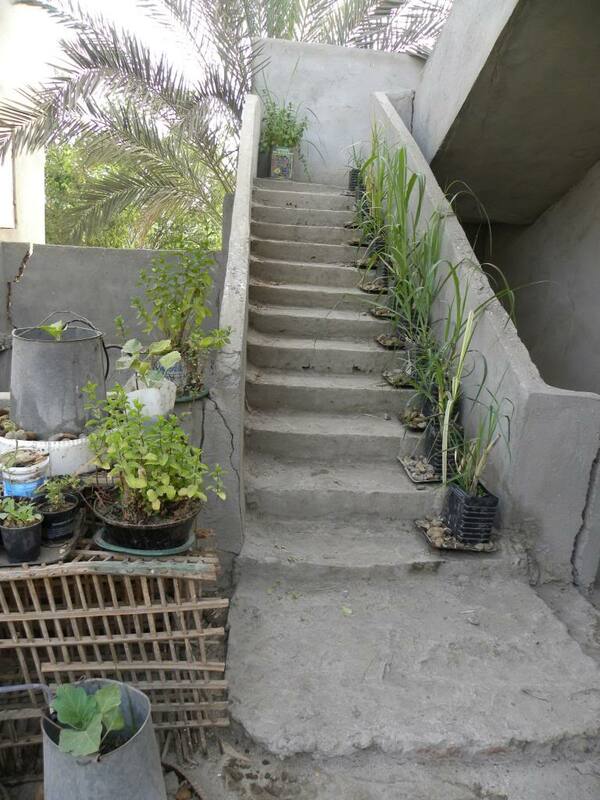 After Mohamed transplanted my little sugarcane babies from the roof to the land next to the fence, I thought they looked very nice there. They made a tall green wall of fringe that appealed to my inner landscape designer. 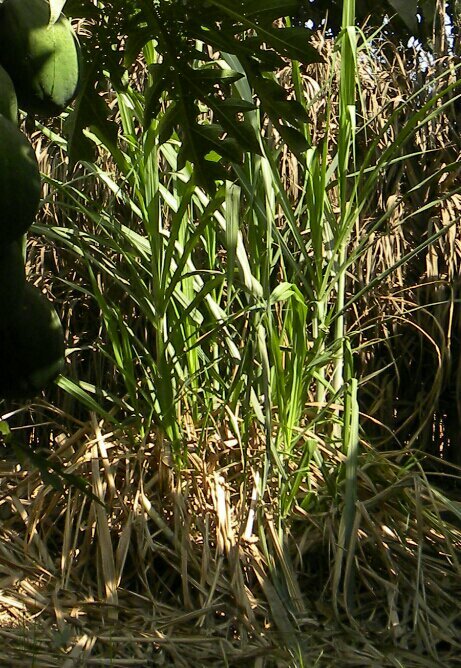 Never underestimate the rich egyptian soil, though, because it can turn a few sugarcane babies into a jungle faster than weeds on steroids. After cutting through the jungle with a machete, or as it is called here, a “sho’ruf,” Mohamed cut a few sugarcane stalks away from the fence and carried them back closer to the house. Then he stripped away all the leaves, and washed and rinsed the bare stalks clean from any dust or soil. 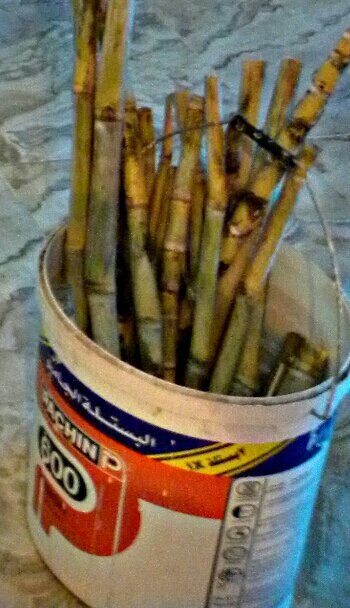 Next he cut the long stalks into shorter sections, and collected them all in a bucket. I really like fresh sugarcane juice. It’s quite sweet, and ordinarily I prefer my sweeteners artificial and calorie free, but I always make an exception for fresh sugarcane juice. It’s probably the National Drink of Egypt, and it’s definitely good for whatever’s ailing you. It’s high in Vitamin C, to boost your immune system, especially if you have a cold. It has a low glycemic index, so sugarcane juice won’t make you sleepy by blasting you with insulin. It is rich in carbohydrates, so it will give you energy and refresh you, but it is digested slowly, as it has no simple sugars. Sugarcane juice is a vegan source of protein, too, and studies have shown it to be useful against prostate and breast cancer cells, possibly due to the alkalinity of the juice. Juice high in alkalinity is excellent for treatment of kidney, bladder, prostate, and urinary tract troubles, so sugarcane juice is not only going to hydrate you quickly in hot weather, it’s going to cleanse your whole system gently at the same time. 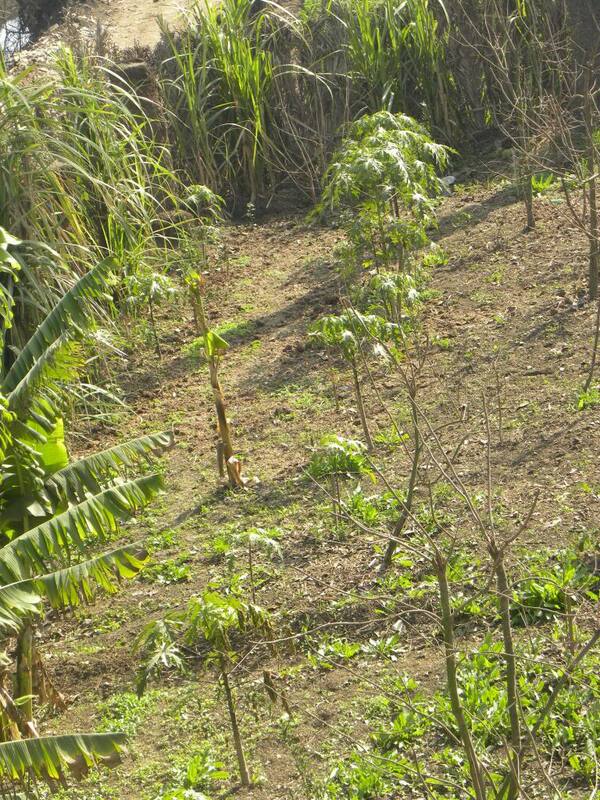 And don’t forget that sugarcane grows into a jungle quickly, too, and it never needs spraying for pests, so it’s a highly sustainable, organically grown crop, producing a natural drink far better for our health than carbonated soda pop. I guess you can tell I really like sugarcane juice! So this homely looking bucket of sticks probably looks different to you, now, than it did at first glance, right? Let’s carry it to the juicer and fire her up!